Isiah Factor | The Insite » MORE CONTROVERSY OVER WAYSIDE SUBDIVISION! 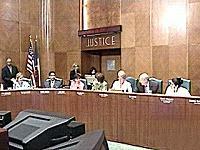 MORE CONTROVERSY OVER WAYSIDE SUBDIVISION! 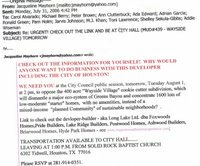 July 31, 2006 | Posted in Uncategorized | Comments Off on MORE CONTROVERSY OVER WAYSIDE SUBDIVISION! EMAIL FOR SUPPORT AGAINST THE WAYSIDE PROJECT! 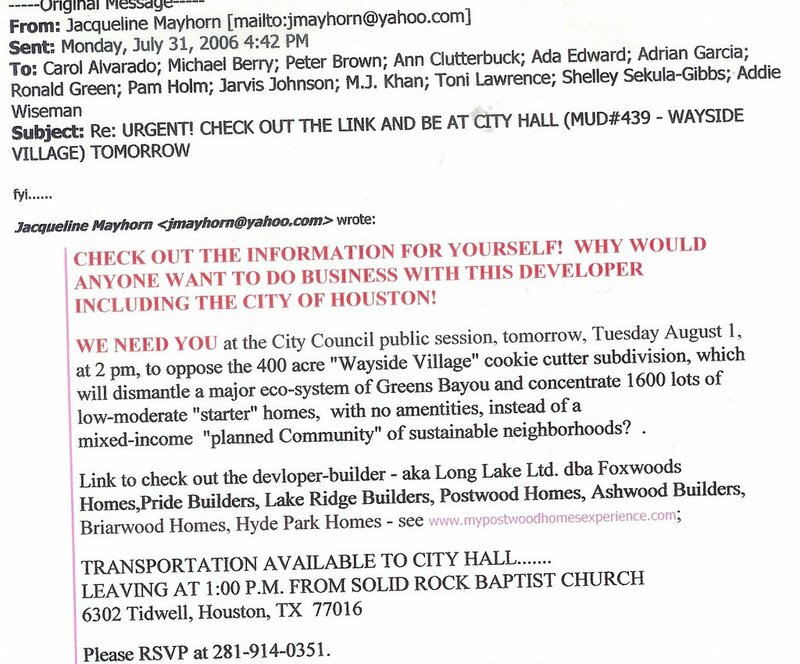 An email is being sent to all Houston city council members to try and stop them from supporting the Wayside development in Northeast Houston. It also ask residents to pack city council Tuesday to let the Mayor and Council Members how the people feel about this proposed home development project. The email is posted above – click to enlarge and read….